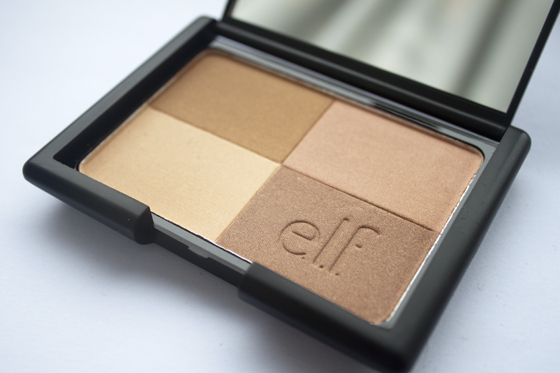 The ELF Studio Warm Bronzer is one of my favourite "budget" products, and one of the few ELF products I've tried that I 'd happily speak highly of. Since discovering it through Laura back in the Lollipop26 days I've gone through two and recently repurchased this as my third during one of ELF's special promotion deals, Its worth keeping a eye on their Facebook page because they often have 40% promotions and free shipping deals. At £3.50 its a absolute steal for the quality of product, its not the best bronzer I own, but its certainly the best for the price! Sorry there are no photos of it in use, its quite hard to show you what this looks like on because I'm fake tanned at the moment, therefore its far too light for me so I use it as a highlight to my current bronzer which is a MAC MSF Natural in Dark. I think if your on the pale side and looking to step into the world of bronzing (its addictive, trust!) its a good quality, cheap starter product. Its not too dark or too orange, because its warm toned it doesn't look muddy on the skin. The ELF Studio Warm Bronzer is shimmery without being glittery, it has the right balance between glow, a slight sheen and a nice bit of colour. It's really cheap but it looks good ! 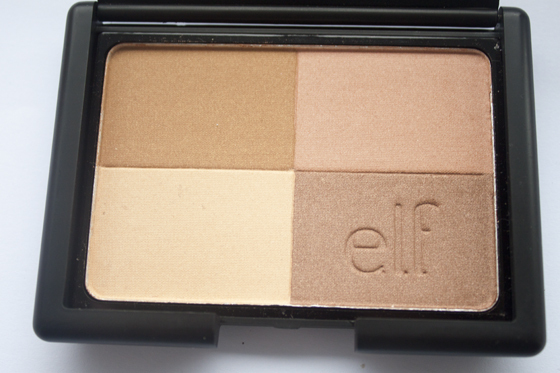 Always wanted to try E.L.F & I've been looking for a cheapish bronzer, just might have to buy this! I love ELF! They had a really good deal on last weekend where you could get a free gift worth £15 and free shipping with your order. I though the free gift would be crap but turned out to be pretty decent! I just sold one of these bronzers on my blog sale! I loved the colour of it but i found it too dark for my skin tone!